In the capital of Rio Grande do Sul, stay at the Novotel Porto Alegre Aeroporto hotel, just 328 yds (300 m) from the airport. 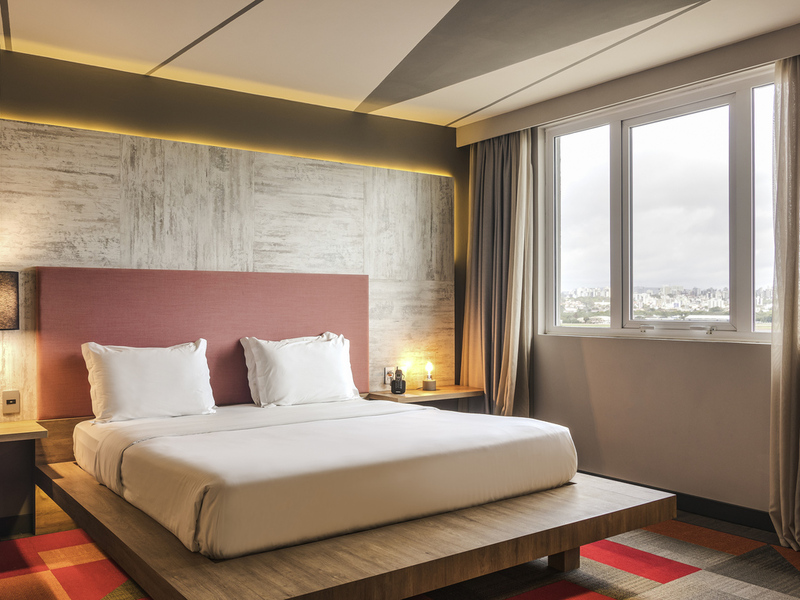 This 4-star hotel offers easy access to the industrial district, metropolitan area and tourist attractions. The hotel also offers WiFi, a fitness center, indoor swimming pool, full-board catering, paying parking, airport transfer and other facilities. For business or leisure, enjoy the benefits of the Novotel Porto Alegre hotel. Type of cuisine: regional and à la carte. For lunch, dinner and snacks, this elegant and contemporary restaurant can seat up to 100 people. Discover our range of regional dishes in modern, air-conditioned surroundings.